If you haven’t already gone over to check it out, head on to the Pet Blogger Mall. There’s updated information on there for folks who want to open a shop AND an announcement for the logo design contest. That’s right! Are you one of those digitally creative types that loves making all those badges and logos and blog designs? Then find out how to enter the contest to design the logo! This is my logo. I am not digitally talented. If you are digitally talented, go enter the contest so this logo does not win. That dog is Finn. And don’t forget to add the mall’s blog to your reader thingamobobber so you can get all the announcements in your queue. Now, Gizmo and I are just THRILLED with the response we saw for Park Day!!! Thank you to everydog that participated. We will be putting out tails together tonight to pull a winner of our prizes and will announce that tomorrow. And stay tuned Blogville, Park Day 2.0 announcements will be coming on Friday! Previous PARK DAY IS HERE! Next And the Winner Is…. Brilliant logo. We actually like it. Thank you and Gizmo for Park Day it was a blast. We enjoyed it very much. Have a marvelous Monday. Oh I could immediately tell that that was a picture of you Finnie!! The red gave it away! The Pet Blogger Mall is SO exciting – mom cannot wait for its grand opening in July (paws crossed). 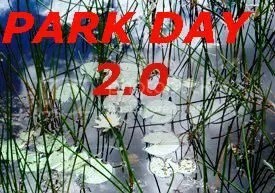 We’ve already got our pics and story ready for Park Day 2.0. Mom & Dad took us to an aroootiful park on Sunday and we made sure they took pictures. Oh Wally, I can’t wait to see where you went for 2.0! There’s a twist though to it…you’ll have to wait and see! Hope you have a great Monday! You got any leftover popcorn?? We need to head over to the Mall. Now, where has SHE put that little plastic card…hmmmmmm. It was great seeing the range of Parks everyone visited. 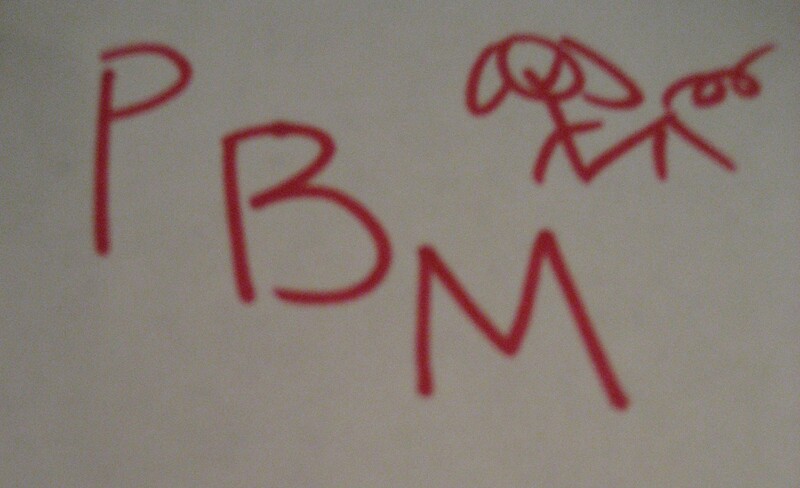 BWHAHAHAHAHAHA…OMD, I LOVES your logo! I thinks it is just perfectly creative! I knew dat was Finn at furst glance. I wanna aplogoze fur not bein; at da park…and I was so darn excited too! We has had LOTS goin; on around heres but I tolded mum dat was still no excuse to be a no show. Our Mommy is awful at making logos and stuff but we look forward to see what our creative friends come up with! Great logo. Sorry we missed park day. Mama has been hung up at the library. And just what is wrong with that beautiful logo? We think it would be perfect for the mall. Really enjoyed reading the Park Day posts. I kind of like your logo, but I’ll bet there are some digitally creative people that will come up with some good stuff too. I’m excited to see the mall develop. I rather like your logo. Simple and to the point. 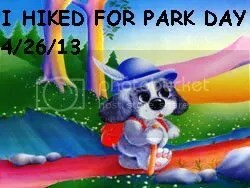 heheh And thank you for co hosting Park Day. It was great to see where everyone went. Whoo hoo another park day?!? Yea…get busy finding a new adventure Ma!!! Hey Ma better get that plastic money card out too for the new mall where they specialize in me stuff!! Hey we love your logo!! It’s a winner for sure! We can’t wait for Park Dag 2.0! Can we suggest that it be held on a Saturday or Sunday? Weekdays are busy for our mom, we get to do more fun stuff on the weekends! Sorry I couldn’t make it to park day, but I was busy getting ready for my new brother. I hope we can be there for the 2.0 version. Well no surprise that I forgot to participate in Park Day…I was too busy walking in the park with dogs:) Look forward to seeing the other participants. We sure don’t know how to make any logos here, so it is OK with us if you win! Simple is sometimes best – we like your logo. We had fun with Park Day – we are sorry you missed our post. I’m so excited about the new mall, but my mom person is mean & says I can’t have my own credit card! Sorry we missed Park Day, my mom person hasn’t been doing a very good job of keeping me up to date on what’s happening. We like your logo too! Well that logo looks just fine to me. I can promise you it’s much better that anything Gail could come up with. Oh and thank you so much for organising Park Day. It was brilliant. We so enjoyed reading everyone’s post and are looking forward to version2.0. Wow, I better go check that out! Can’t wait for the big drawing. Congrats on the successful park day…it was a blast! Can’t wait for the Mall to be open for business… Mom says we better start saving our treat money for shopping. We loved park day! Thanks for cohosting! Hey Finn, we were ab le to follow a lot of the blogs that did the Park Day and want to commend you. Hoping our internet is faster by the time Park Day 2 comes around. FINN Girrrrl every critter is gonna be saving their green papers just to Shop at OUR Mall!! Friday? OH BOY… can’t wait. Your logo looks great to us, Finn! We’re on our way over to the mall! Your logo is … interesting. I think maybe it’s the lighting that’s the issue. Try photographing that outside. In the bathroom. In a dark closet. Under a blacklight. You never know. I am not very good at logos, but I am super excited about the mall and it is a super great idea! I like your design.